The 173rd Airborne Brigade Fires Support Team and the Slovenian Army’s, Joint Terminal Attack Controller (JTAC), participate in exercise Adriatic Strike 15 with other NATO and Allied Partners from 01 – 06 June 15 in Slovenia. The purpose of this exercise is to provide the 173rd Airborne Brigade Fire Supporters an opportunity to coordinate and execute Close Air Support with NATO JTAC’s in order to increase NATO Interoperability and conduct partnered training. Also available in high definition. US Mission to NATO ‏@USNATO 18 ч. US Mission to NATO ‏@USNATO 20 ч. US Mission to NATO ‏@USNATO 21 ч. US Mission to NATO ‏@USNATO 15 ч. 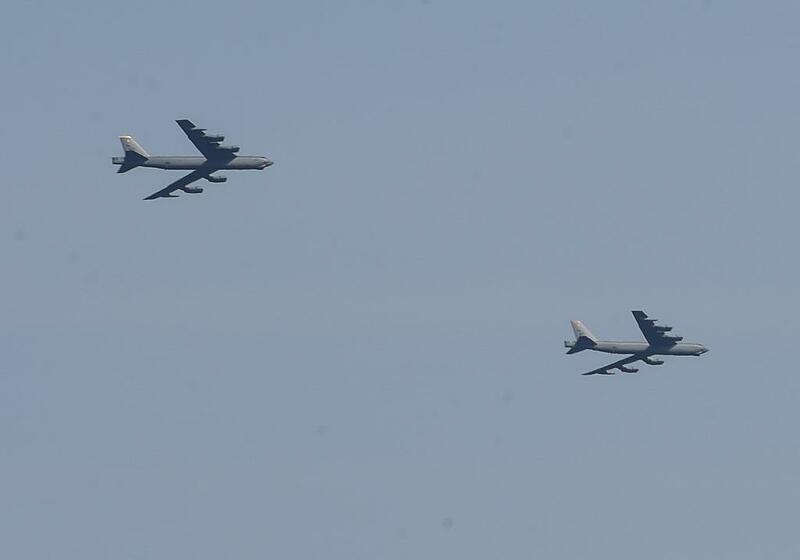 A 5th Bomb Wing B-52 Stratofortress from Minot Air Force Base, North Dakota makes history during exercise SaberStrike15 as the first B-52 to ever fly over Latvia. /US Air Force A-10's at Ämari Airbase, Estonia/ Siil2015. This time again the mighty A-10´s from our good friends US Air Force. Regards to all US Air Force servicemans for their continuous support. A-10s continue their tour of eastern Europe. 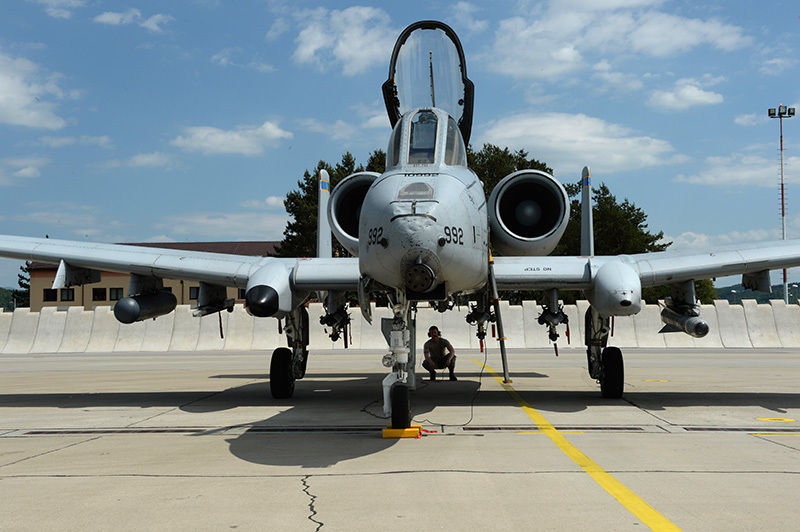 Four A-10 Thunderbolt II jets and approximately 40 airmen from the U.S. Air Force Theater Security Package, deployed to Sliac Air Base, Slovakia, May 16, in support of Operation Atlantic Resolve. The contingent of the 354th Expeditionary Fighter Squadron have taken part to a joint training with the Slovakian air force whose aim was to improve interoperability in allied air operations and multinational close-air-support operations. The 354th EFS is currently deployed to Campia Turzii, Romania, but takes part in “micro deployments” across eastern Europe to reassure local NATO allies and show them the U.S. commitment: since they started their six-month tour of duty in Europe, the 12 TSP “Warthog” attack planes from the 355th Fighter Wing, Davis-Monthan AFB, Arizona, have been stationed in Germany, UK, Poland, Romania, and Estonia. During their stay in Slovakia, the A-10 worked with the Slovakian air force L-39s in joint close air support training with JTACs (joint terminal attack controllers). US Mission to NATO ‏@USNATO 2 ч. US Mission to NATO ‏@USNATO 3 ч.
Востаннє редагувалось congo в 15 червня 2015 19:48, всього редагувалось 1 раз.